If you run a small to medium-sized business, you probably aren’t really concerned with dominating global search results (yet). Instead, the local community you serve is probably the lifeblood of your business, and showing up at the top of local listings is important for bringing in new customers. Search engine optimization can seem like an overwhelming task, but showing up for the right cities or state should be one of your top priorities for growing your business. Thankfully, there are a few easy things you can do to boost your local online visibility in Eastern North Carolina or anywhere in the country. Potential customers have so many choices when looking for products and services. But it is possible to stand out in a sea of competition. Here are a few actionable tips you can implement today. Writing blog posts, landing page content and social media posts are important to get more attention online. And that’s a great start. But adding targeted keywords for each product and service can make your efforts that much more effective. For example, if you provide amazing, delicious coffee like one of our clients, you might post coffee specific content with keywords like “coffee in Kinston” or “coffee shop in Kinston.” Slipping in keywords with location will help Google and other search engines index your content more accurately. Need help with researching keywords? Check out Google’s Keyword Planner Tool and this helpful post from HubSpot on how to find long-tail keywords to include in your content. One of the most beneficial ways to boost your visibility in search engine results is to consistently create fresh content with targeted keywords. Blogging is an easy way to do this. Providing helpful information to your readers and slipping in valuable keywords for search engines to index will help boost your results in local search. The more your post, the more often search engines index your site, and they more valuable they will consider your website to be. A good tip is to setup a blogging schedule, complete with ideas and keywords you want to target. If you have more than one location, consider creating a unique page for each location. Each page should have different content, including different keywords based on your keyword research. The majority of visitors to your website will be using a mobile device. How does your website look on a tablet or smartphone? Do visitors have to pinch and expand to view your content. If so, you are losing potential customers and hurting your search engine placement. Search engines give priority to mobile-friendly websites because they are considered to be more helpful for users. There’s no one and done solution or magic formula for getting great search engine placement. It is hard work that takes effort, planning and continuous fine-tuning. However, by employing a few of the easy steps we’ve covered here, you can see measurable results in your search engine position and a boost in quality traffic to your business website. Need help optimizing your website for local search? 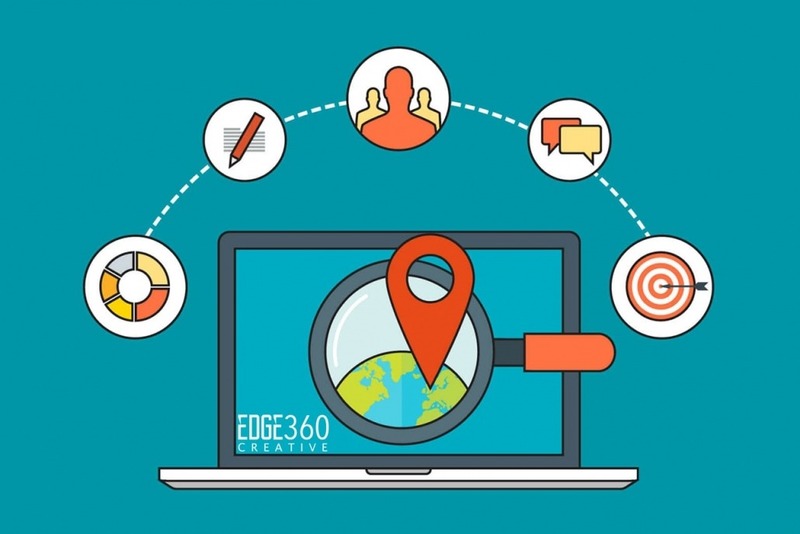 Edge360 Creative specializes in providing local website optimization services.